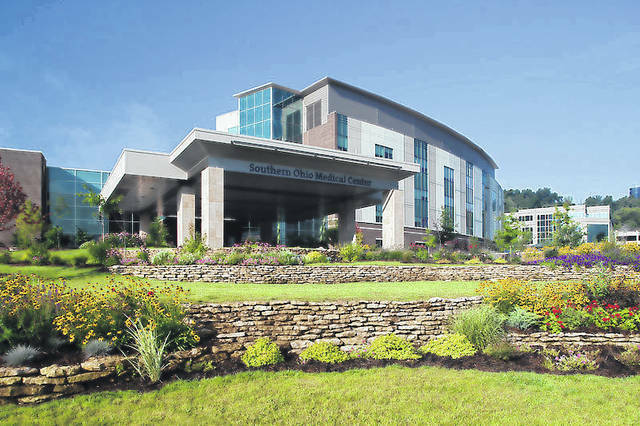 For the third consecutive time, Southern Ohio Medical Center has earned Magnet designation for its nursing excellence. Magnet recognition is the ultimate credential for high-quality nursing an organization can receive from the American Nurses Credentialing Program (ANCC). Magnet recognizes health care organizations for quality patient care, nursing excellence and innovation in professional nursing practice. Magnet is an exclusive recognition, achieved by just 471 organizations currently of more than 5,500 hospitals in the United States. SOMC is one of only 30 hospitals in Ohio that are Magnet designated. Organizations that are Magnet designated have shown to have better quality and safety patient outcomes, higher patient satisfaction, higher employee and physician satisfaction as well as lower vacancy and turnover rates. Hospitals seeking to achieve Magnet designation must complete a lengthy and extensive process that includes an on-site review by appraisers and interviews with hundreds of nurses and employees, physicians, providers and community members. SOMC received the on-site review in early December 2017. The Commission on Magnet notified Claudia Burchett, vice president/chief nursing officer, last week of their decision of a third consecutive Magnet recognition. SOMC initially received Magnet designation in 2008. The recognition is valid for four years. Every four years, the organization must complete a new document responding to the increasingly higher Magnet standards. The document is scored by a group of Magnet appraisers, and if the score is in a range of excellent, a site visit to the organization is completed. The Magnet appraisers send their completed report from the review of the document and the on-site visit to the Commission on Magnet. The Commission on Magnet makes the final determination of the designation. SOMC has completed this rigorous process and achieved Magnet designation each of the subsequent four-year cycles. “Focusing on our patients and improving our processes to achieve quality outcomes is our goal each day. Creating a culture where all of the employees have a voice in improving patient care is what makes our organization so special,” says Claudia Burchett, vice president for patient services/chief nursing officer. Nurses and providers want to work in this type of environment. According to the ANCC, statistics show that nurses who work in Magnet-designated hospitals are more satisfied with their job and the care they provide. Magnet hospitals also have increased retention rates for nurses, which leads to improved patient safety. Even the name, Magnet, is a reference to the quality of the organizations that earn it as they tend to be “magnets” for top nursing talent. Many nurses, advanced practice nurses and physicians are drawn to SOMC, and cite that part of what attracted them to SOMC was being Magnet designated.